Quaintance-Weaver Restaurants & Hotels is in the midst of a $2 million renovation at its O.Henry Hotel in Greensboro, which on Nov. 23 will celebrate its 15th anniversary. The O.Herny has also been selected to join the Southern Living Hotel Collection, a handpicked list of top-quality independent inns and hotels throughout the South that offer a “memorable experience through impeccable service, outstanding cuisine, high-quality facilities and the finest amenities.” The list, which is curated by the Southern Living travel editors, will eventually grow to 100 hotels through the South. 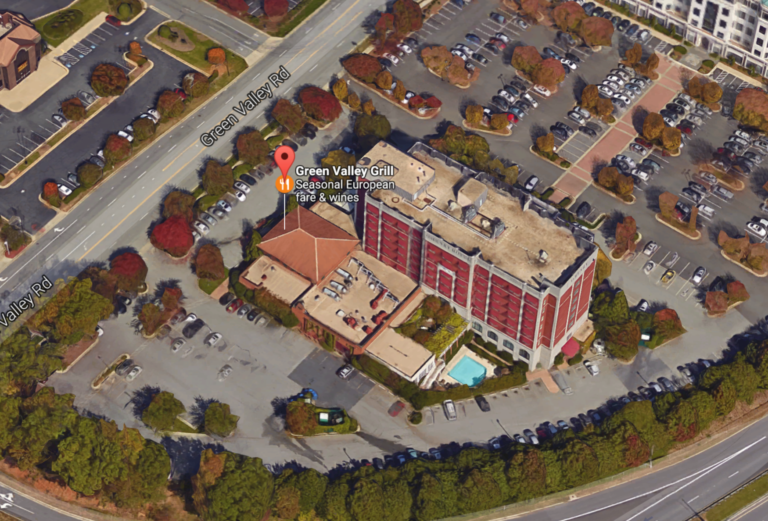 The renovations will take the hotel’s existing events spaces from a 4-star level to an even-more-premium 5-star levvel, said Dennis Quaintance, CEO of the Greensboro-based hotel and restaurant operator. Quaintance — who also goes by the title “chieff storytelling officer” — opened the O.Henry Hotel and accompanying restaurant the Green Valley Grill with partner Mike Weaver and their wives Nancy and Katherine in 1998. The facility was designed after the original O.Henry Hotel, which was located in downtown Greensboro from 1919 to 1979. Renovations include transforming former administrative office space into a paneled event space called the Palmer Room, which will provide private dining or meeting space for up to 22 people, as well as converting a former business center into a new lower-level lobby. 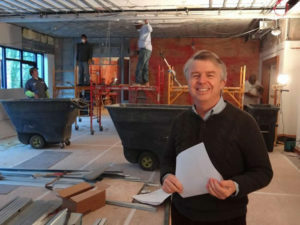 The existing 1,500-square-foot Hawkins Brown Room is also being remodeled, with Quaintance-Weaver’s in-house construction staff raising the room’s ceiling by 17 inches and adding new lighting and glasswork. Together, the terrace-level renovations span about 4,000 square feet and will be wrapped up by mid-December, Quaintance said. While most hotels remodel or refurnish space every five to seven years, Quaintance-Weaver’s design team — including Leah Clark, artist-in-residence Chip Holton and lead designer Bradshaw Orrell — meets weekly to discuss improvement possibilities at its properties. For instance, beyond the $2 million event space renovation, Quaintance-Weaver has been in the process of updating each of the O.Henry’s 131 rooms with 46-inch high-definition televisions, newly upholstered furniture and original artwork from Holton. The entire project will take about 30 months, Quaintance said. The O.Henry is the only hotel in the Triad that is part of the Southern Living hotel collection, joining The Greystone Inn in Lke Toxaway, The Grove Park Inn in Asheville, The Swag in Waynesville, and the Washington Duke Inn & Golf Club in Durham on the list. The Quaintance-Weaver team is working with Southern Living to plan marketing events for the next year. Beyon the “honor” of receiving a stamp of approval from the venerated magazine, being included in the hotel collection opens up a market of Southern Living’s 2.8 million subscribers and 15 million readers, Quaintance said. “It gives us some prestige,” he said.